Reduces transmission movement By removing the factory rubber bushing, the APR system reduces slop in the driveline to improve shifts, and transmission of power to the ground. Expect a sportier feel during acceleration, deceleration and gear changes without an excessive increase in NVH when paired with the factory sub-frame mount. Spherical bearing: Spherical bearings offer far less unwanted movement over rubber and polyurethane inserts. As such, the APR mount uses a spherical bearing, made possible by upgrading the rear mounting hardware. The bearing is fully-serviceable, features a heat-treated race and precision-ground ball, with a self-sealing and self-lubricating PTFE lining. 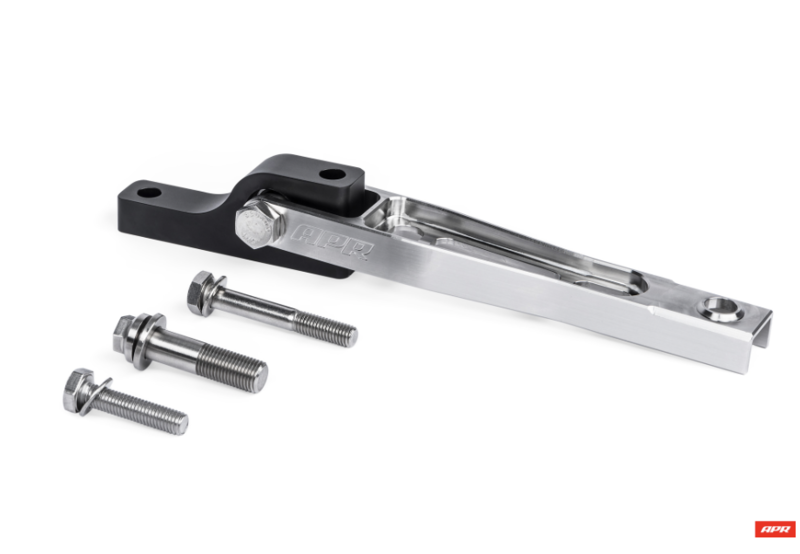 Billet-aluminum and Billet-stainless-steel construction The front and rear pieces replace the factory cast aluminum and stamped steel pieces with precisely machined, billet-aluminum and billet-stainless-steel pieces that are strong. The aluminum piece is anodized black and the stainless piece is electropolished to provide corrosion resistance and the APR logo is laser etched on each side. Replacement Bolts: The factory bolts are one-time-use, and must be replaced when installing a new mount. 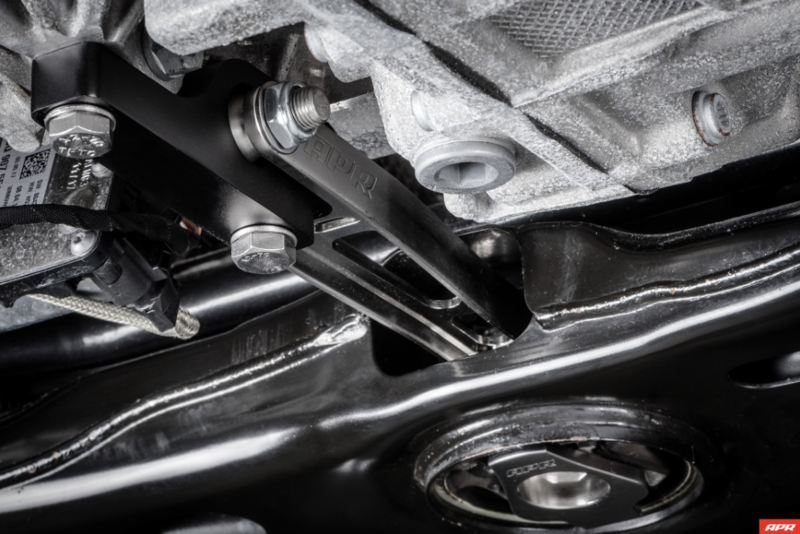 The APR system includes non-one-time-use bolts for their strength, quality and longevity over the factory bolts. Easy to install : The system is easy to install, doesn’t require dropping the sub-frame and is compatible with the factory and factory-like modified sub-frame mounts. Full install directions are included with each system.